Maestro Illayaraja is said to be organising a concert here on July 27 as a tribute to the late legendary musician M.S. Viswanathan (MSV), who passed away last week. "MSV has had a very strong influence on Illayaraja's music. As a special tribute to the veteran composer, he will organise a concert titled Ennulle Ulla MSV. 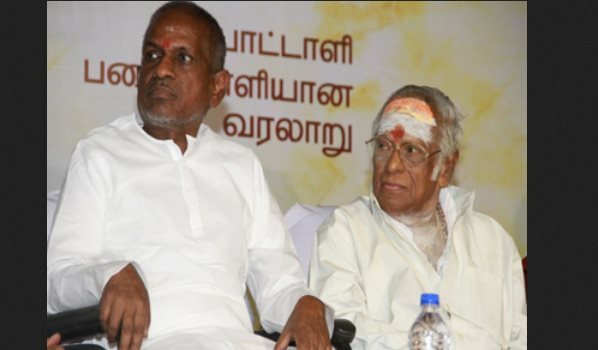 Around 30 best songs from Viswanathan's repertoire will be performed at the event," a source close to Illayaraja told. Illayaraja also plans to bring together all surviving members of MSV's troupe to play at the concert. "Singers who have sung in MSV's compositions will also be invited," the source added. MSV, as he was fondly known in the Tamil film fraternity, had over 750 films to his credit in an illustrious career spanning over four decades. He was 87, and passed away due to geriatric problems.